Halotherapy or salt therapy is a practice that has existed for centuries. It has been used to treat a variety of conditions, especially respiratory problems and skin issues. While salt therapy used to treat various ailments is believed to have existed for millennia, it wasn’t until 1843 that scientific research on the benefits of salt were investigated by Polish physicist, Felix Boczkowzki. He discovered that men working in salt mines had fewer respiratory problems than the general public. Boczkowzki concluded the reason for this was the inhalation of salt dust by the miners. Salt therapy works by cleansing a person’s airways. It does this by loosening congestion from the lungs, improving breathing. It is recommended for those who have conditions such as asthma, sinusitis, and sleep apnea, but is beneficial for a host of ailments. Exposure to salt therapy has an accumulative effect, so symptoms gradually disappear with subsequent sessions. Having consistent exposure to salt therapy is paramount to its success. Because it is a natural form of therapy, it can be used alongside prescribed medication or to complement other types of alternative treatment. While salt therapy is said to be beneficial, it is not meant to be a replacement for medication. If you use an inhaler, continue to do so as prescribed by your doctor. Salt therapy can primarily be used as an aid for nasal snorers. This type of snorer often makes noise because their airway is not wide enough for natural breathing. This can be caused by a number of factors, from collapsing nostrils, sinusitis, to the common cold. Salt therapy is a drug-free and non-invasive treatment. It is especially beneficial to those who have nasal snoring during allergy seasons. Salt has natural antihistamine, anti-inflammatory, and antibacterial properties which reduce inflammation and relieve nasal congestion. Snorers who use salt therapy experience restful breathing because their air passages are opened, and irritated tissue is modulated. Salt therapy devices that can be used at home. 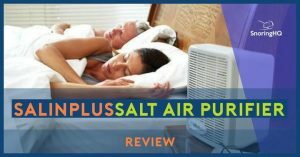 They work by releasing tiny particles of salt into the air, while filtering out other particles that may be causing breathing difficulties, like allergens. Spa caves. These can be natural, like those found in Poland, or simulated using a halogenerator. With controlled airflow and temperature, the machine works by taking salt particles and crunching them into even smaller fragments before releasing them into the atmosphere to create the perfect microclimate. Different spas may use different salts in their quest for optimal success. Salt-steam rooms. These are similar to a traditional steam room or sauna but have a lower and more comfortable temperature. Bathing in a gentle salt-water pool. Some spas will boast their own salt-water pool is softer and more natural than if it was filled with chlorine. Salt lamps. These are typically made from lumps of Himalayan rock and have a light bulb placed inside. Once lit, the bulb heats up the salt, dispersing it into the air. Alternatively, some salt lamps are candle holders and use the heat of the flame to warm the rock. Halotherapy is a complementary therapy that works in tandem with existing medication or treatments to alleviate snoring symptoms such as congestion. A great reason to use halotherapy to aid with snoring or other respiratory issues is that it is a non-invasive holistic treatment with no side effects. Inhaling the dry salt microparticles clears the airway passages and reduces swelling of the soft palate and nasal mucosa. This can certainly help control some types of snoring. 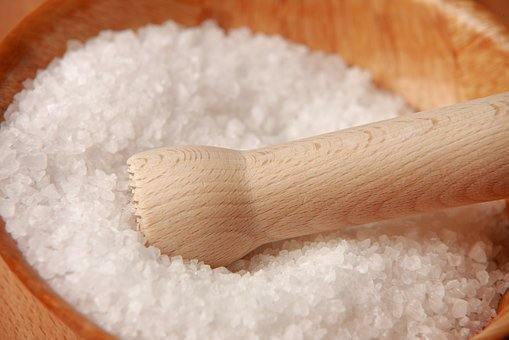 Salt therapy also improves sinus drainage which provides relief from snoring, so you can enjoy a great night’s rest!